Hooray!!!! This feels like the first 5 star review I’ve given in ages! This is a book that I probably wouldn’t have found on my own, it was the wondrous Diana Croft, one of my all time favourite audiobook narrators that brought it to my attention. This is a crime thriller based in Liverpool and North Wales, seeing as I’m based in that area myself, it had particular appeal. Not least because it put Croft through her paces when it came to the variety of accents she had to manage! The story covers the events in three main areas following a murder – the police investigation, crime families in the Liverpool area and a regular family that have been caught up in the events. 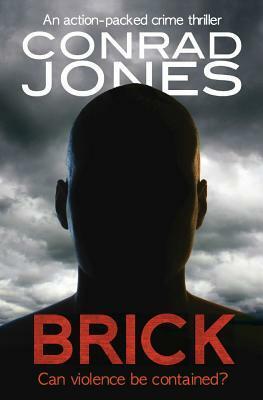 Jones’ strength as a writer is in his characters – you get a strong feel for each and every one of them and can’t wait to see what they do next. He adds in that essential grey area that even thieves and drug dealers love their children and want to do right by their families. He’s researched the settings of this book very well (or may be a local for all I know!) and really brings all the places to life, which just adds to the authenticity of the entire thing. There’s a lot of gritty realism in this book, there’s a few incidences of ‘probably-wouldn’t-happen-like-that stuff’ to keep the gears moving but for the most part everything is believable which makes the book even better. Of course I alluded to this earlier, so it’s time to get down to the nitty gritty: How did Diana Croft do with the accents? She f*ing nailed them, that’s how she got on. How she swings back and forth between character accents and her own voice so easily, I’ll never know – the majority of the characters in this book had a strong Scouse (Liverpool) accent which she managed to do with subtle differences for each character so you could tell them apart, but there was the Russian mobster accent (of course there were Russian mobsters! It’s not a story about organised crime without Russians) which I enjoyed immensely because it didn’t encroach on Bond Villain territory; and the single North Walian line… complete with Cofi (Caernarfon) accent. So all in all, this book really was something special which was made even better through narration. If you’re a fan of crime thrillers, particularly ones set in the UK, you should give this one a go. Untrue. Nobody on Anglesey bloody indicates. That’s why we slow down so much at junctions, because we know the person in front hasn’t decided where they want to go yet.